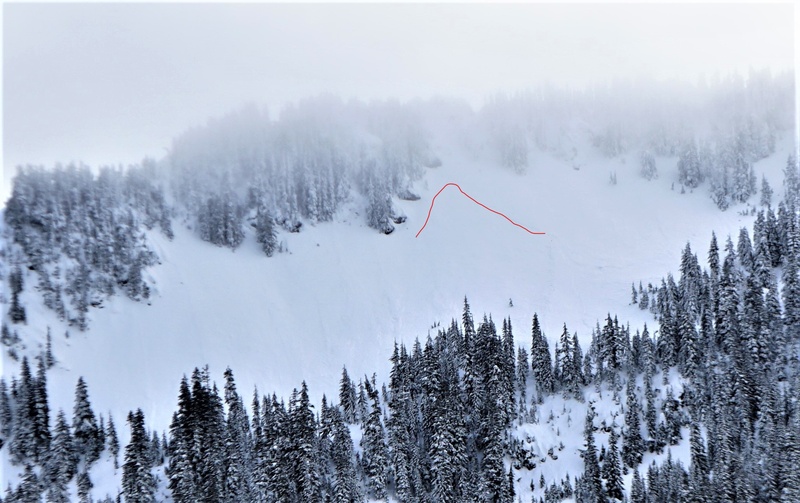 The Bottom Line: Firm surface crusts exist on all aspects and elevations in this zone after several days of clear very mild weather, limiting the avalanche danger. Another sunny and warm day Tuesday will compete with breezy conditions limiting snowmelt and Wet-Loose avalanche potential. Watch for deeper melting surface snow on steep sun-facing slopes sheltered from the wind. Temperatures have been above freezing at Hurricane Ridge since Friday. If you see signs that the snow is not adjusting well to the warming, such as glide cracks, cornice failures, larger avalanches, or wet snow that your boot sinks easily into, seek safer terrain. Melt-freeze crusts should exist on most aspects to ridgelines following the several days of very mild temperatures and sunshine. 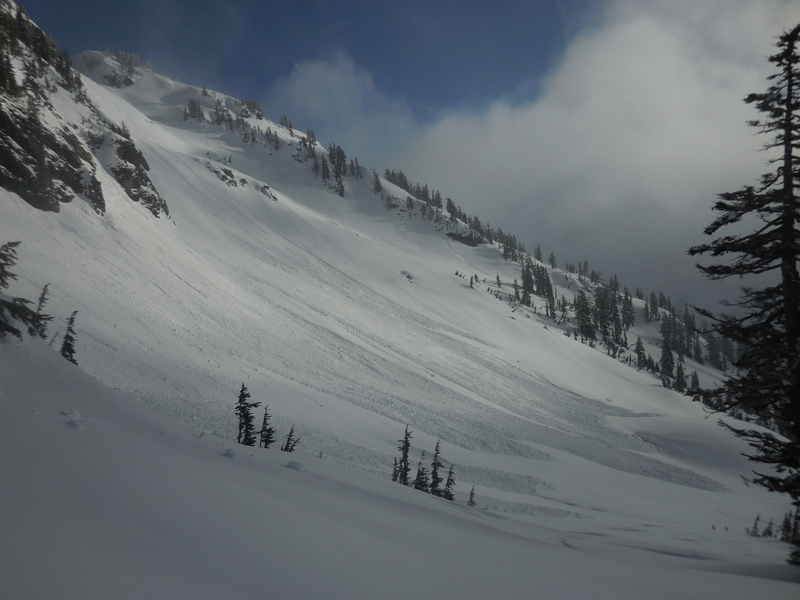 While Loose Wet avalanches will be unlikely on Tuesday, you might encounter wet snow on steep, rocky, sunny slopes. If you start experiencing roller balls or wet snow deeper than your ankle, adjust your aspect to find firmer and safer conditions. We received another recent observation from the Olympic mountains. Low snow coverage below 4000' and evidence of many strong crusts throughout the snowpack told the story of multiple rain events in this area, as well as recent avalanches on lee slopes at higher elevations. Right now we are forecasting without specific snowpack and avalanche observations from the Hurricane Ridge area due to the recent government shutdown. If you travel to the Olympic Mountains, please help your local forecast by submitting an observation. For the 2018-19 winter season, avalanche hazard ratings will be issued for the Olympics Friday through Sunday and during holidays. We will resume issuing ratings when access is once again available following the recent government shutdown. General snowpack and weather summaries will be available on days that the Hurricane Ridge road is closed. The ridge of high pressure continues to dominate the weather with the ridge axis just offshore. Expect generally mostly clear skies in the mountains, light alpine winds, and some easterly flow. Tuesday night and Wednesday, the pool of cold air east of the Cascade Crest will diminish as the trough that brought it is now far to the east. The pressure gradient across the Cascades will also weaken and easterly flow through the mountain gaps will lose strength. Meanwhile, cutoff low well offshore heads ESE towards northern California with quiescent weather remaining over our region and the ridge starts breaking down from the north with moisture spilling into British Columbia. The Pacific Northwest is in between. More fog is anticipated Tuesday night and Wednesday with very little wind to mix the atmosphere. The same pattern continues Wednesday night and Thursday with a low pressure developing west of Vancouver Island. Moisture continues spilling into British Columbia with clouds increasing in northwest Washington state. On Thursday there may be a chance of light drizzle in the mountains. Easterly flow will increase slightly with the approaching trough.